Digital images can be lost forever. In the good old days, we had a print or negative, to keep our memories safe. But now, images can be lost in a heartbeat. Your computer fails or they get accidently deleted. There are ways to protect against that sinking feeling, when you think you might have lost a precious image. Help is at hand. Here are some simple tips for not losing your digital memories. If you post regularly to social media, make sure you back up those precious images, you have posted. Yes, once uploaded, they are backed up by the social media platform. But; what happens when that company no longer exists. Your images will be lost forever. One simple system is to archive your images, to a cloud based service. There are a number of companies who offer this type of service. Simply put, they store your data, keeping it backed up and accessible, from anywhere in the world via the internet. A popular company and one we use is Dropbox. There are several others, Google Drive, Amazon Drive. Choose the right one for you. A little more time consuming is to back up your images, to an external drive. External drives are inexpensive and easy to setup, most are plug and play. A common workflow to follow can be seen below. · Download the images on the card to your computer’s hard drive. A word of caution, don’t format your card(s) until you have checked that they have been safely backed up and you can access the file(s). What workflow do we have? Answer below. It’s a system that works for us and our circumstances. A days shooting goes like this. If you are photographing something special, like a wedding or motor racing event; have a separate set of cards for that event. Remember to take them out of the camera, at the end of the day and keep in a safe place, until you can download them onto your computer. As soon as you can download and backup to an external hard disk or store them safely in the ‘cloud’. The last thing you want, is to lose your valuable pictures, especially if it’s a one off event. 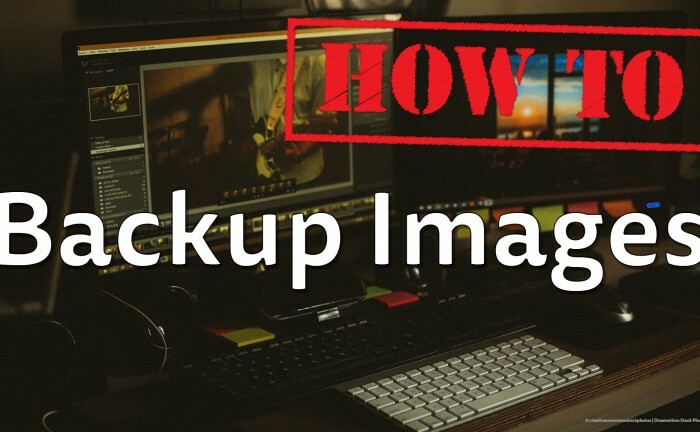 There are many ways of backing up your pictures, these are just some ideas. Whatever you decide, don’t delay. Setup a backup plan TODAY.